K.E 彻底击破英汉互译的秘密(精编版) 高效英语学习新理念总的原则(1)翻译时既要忠实于原文又要符合汉语的习惯(2)翻译不可太拘泥。拘泥、刻板的翻译因死守原文语言形式而损害了原文思想内容。好的译文应该是形式与内容的统一(3)能够直译尽量不意译(4)翻译的过程理论上应该是先理解后表达。?但是对于我们的考试来说,最重要的是要把话说清楚, 让你写出的中文直接匹配阅卷老师的思路。?简单,清晰,明了,少文采,少夸张修饰! ?再简单一点,你说的话,别人能一下听懂了,你就是高分! ?如果说了半天,连自己都不明白是什么意思,那后果十分可怕! ?先说第一个要素,词汇要知道! ?如果有这样的东西出现,你束手无策的! ? vivisections going on well ? an unsustainability-oriented life ? e neogeological boundaries and revolutionize our way of living. ?这个只有一条路!你要先保证上考场没生词,这是最最基本的要求了,不仅是翻译! ?如果你现在看大纲词汇感觉到有生词,你很危险! ?除了难词,对新出现的热点事物的说法也要有所把握! ? big bang, astrophysicist, cyber- chatting, merce, smart phone, android, wireless, videophone, academy award speech, Avatar, cycling, spring outing, agritainment, ? Produce your ticket, please. ? He is the last person to sing. ? This contract shall be good for 2 years. ? This is good money/He earns good money. ? It doesn ’ t count. ?如果单词都知道,还要注意一些惯用语带来的隐晦,比喻等。如果发觉不合逻辑的话,要结合上下文来猜一猜的。? to stand on one ’ s head ? to rain cats and dogs ? the milky way ? pull my leg under the table ? sorry for hurting your knife with my back ?那么如果词汇都没有问题的话,句子的各种语法结构要识别清楚。?如果语法基础不好的同学,需要在这一方面加强, 不能出现,单词都会,但是句子怎么回事,却不知道。?可以参见我的构式语法课程。 Kevin English 本部分课程的内容 1. 初级部分:重新强调结构,明白只包含一个动词的句子如何去翻译。 2. 高级部分:复杂主干,定语从句和被动语态的处理方式 3. 补充部分:数词,连词与代词 4. 实战部分?由于英译汉主管翻译而汉译英主管写作,那么本课程会兼顾汉译英,偏重英译汉。?词汇不在本课程范围之内 Kevin English 考试中的翻译?应付英译汉考试和一般的从事翻译创作不同,因为各自有不同的衡量标准,翻译创作的标准为“信、达、雅”,而英译汉考试则只要做到“忠实、通顺”即可。?要做到忠实原文,就应该掌握好适度原则, 即要把原文的内容准确完整地表达出来, 既不能改变和歪曲,也不能增加或删减。?能够直译尽量不意译! 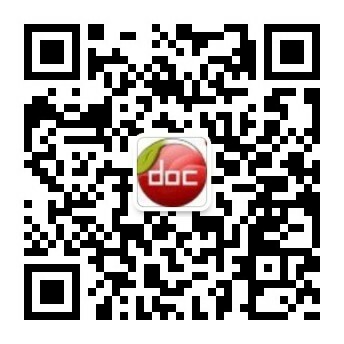 内容来自淘豆网www.taodocs.com转载请标明出处. 大学英汉互译 第一章 unit1 General Princi..